Fatigue is a subjective multidimensional illness that plays an immense role, sometimes having an even greater impact than symptoms such as pain, nausea, and vomiting, in a patient’s quality of life. Once treatable causes for fatigue are excluded, a multimodal therapy plan should be developed with considerations toward the wishes and preferences of the patient. Research suggests that feelings of physical well-being and emotional stability are the most important aspects with respect to the quality of life, regardless of cultural and individual differences. Similarly, the social integration of the patient and their ability to self-reliantly live out their day-to-day life is also of great importance. Committee on the Diagnostic Criteria for Myalgic Encephalomyelitis/Chronic Fatigue Syndrome, Board on the Health of Select Populations, and Institute of Medicine. Beyond myalgic encephalomyelitis/chronic fatigue syndrome: redefining an illness. The national academies collection: reports Funded by National Institutes of Health. Washington, DC: National Academies Press (US); 2015. http://www.ncbi.nlm.nih.gov/books/NBK274235/. Minton O, Richardson A, Sharpe M, Hotopf M, Stone P. Drug therapy for the management of cancer-related fatigue. 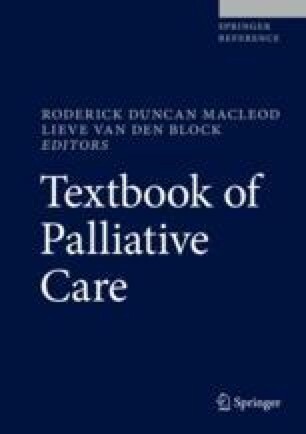 In: Cochrane database of systematic reviews: Wiley; 2010. https://doi.org/10.1002/14651858.CD006704.pub3. Questionnaires | EORTC. 2017. http://groups.eortc.be/qol/eortc-qlq-c30. Accessed 25 May. Reid J, Mills M, Cantwell M, Cardwell CR, Murray LJ, Donnelly M. Thalidomide for managing cancer cachexia. In: Cochrane database of systematic reviews: Wiley; 2012. https://doi.org/10.1002/14651858.CD008664.pub2.